The kind of vehicle you drive is the second largest factor insurance providers use when determining your car insurance price. Within the topic of the "kind" of vehicle you drive, the manufacturer of your vehicle ranks first of the overall pricing factors, thought being that certain sorts of OEM parts (parts produced by the Original Equipment Manufacturer) are more expensive simply because they carry the name a luxury brand (the second largest determining factor is the model year / age of a vehicle, followed by the body style / chassis in third.) As a consumer and, particularly before purchasing a new or used vehicle, it would behoove you to consider the price of that vehicle's insurance premium before you buy. This guide should put you on the right path when selecting a make or model for future purchase. We've aggregated and averaged the average car insurance price by make and model so you can get a good idea of what you're looking at on a per make-model basis before you buy (or begin research for) a car or truck. NOTE: The figures below are averages of quoted policy prices from various public and private sources. Your actual price will probably vary, and the use these figures for any purpose other than cursory research is not advised. Clean driving records are assumed, and the model-year of the car – which will move your price significantly – is not taken into consideration for the purposes of this cheat sheet. You should always get a quote for your specific vehicle before you commit to its purchase. Founded in 1986 and currently owned by the Honda Motor Company, Acura was the first luxury brand to come out of the Japanese auto market. As the make evolved over the past 25 years, its emphasis was expanded slightly to encompass not just luxury, but also performance. This makes the Acura ideal for any consumer in search of a high-performance vehicle with all the trappings of a high-end or luxury brand. 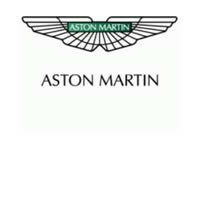 The Aston Martin brand was started in 1913 by Lionel Martin and Robert Bamford in Aston Clinton, a village partly between Tring and Aylesbury in England. As one of the few British manufacturers of automobiles, Aston Martin enjoys the notoriety of being the most valuable single-brand manufacturer in the United Kingdom (ahead of Jaguar singularly, which has several other subordinate brands.) While the ownership of the company has varied drastically over the years (it was wholly owned by Ford Motor Company from 1994 - 2007, and Ford still maintains a significant financial interest to this day) the racetrack-born heritage of the company has managed to survive the ages. The Aston Martin brand was popularized in the United States by the Ford Motor Company in a series of cameos in spy flicks, such as an appearance of the Aston Martin Vanquish in the 2002 movie Die Another Day from the James Bond series. While the odds are you're not driving around an Aston Martin (and if you are, please send us photos) we added the approximate cost to insure an Aston Martin to our list to give you an idea of how your vehicle stacks up against the single most expensive make to insure in the United States. Though closely trailed by the Rolls Royce, the Aston Martin is a hair away from double the median annual insurance cost ($1,525.29) for most vehicles on the road. Look with your eyes and not with your bumper when you encounter these beauties in traffic, as a car accident involving an Aston Martin will set you and your insurance company back significantly. 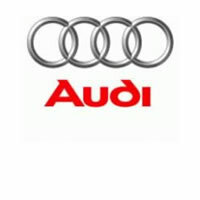 The Audi brand can trace its origination all the way back 1909, when August Horch founded Horch Automobil-Werke Gmbh. (This was his second car manufacturing company; he was muscled out of the first one by a militant supervisory board.) The first Audi – a Type A Sport-Phaton – was produced in 1910 but, like the first company he started, he was forced out of his second company and once again started anew. The following company (and the three after that) all bore some permutation of the name Horch, which is German for “listen;” the Latin word for “listen” is “audi” and… well, no further explanation is needed. The four rings unique to the Audi brand represent the four companies with which Mr Horch would later band but, much like the legal woes of Mr Horch himself, the company would face an unsuccessful lawsuit brought by the Olympics commission because the rings closely resembled those of the international brand. Audi is a wholly-owned, luxury-branded subsidiary of the Volkswagen family and it enjoys the prestige of German reliability. Audi was the first mass-market manufacturer to produce vehicles made of 100% galvanized steel, which prevents the vehicle from experiencing common forms corrosion from the elements and minimizes the cost of wear and tear. The unique combination of high-quality production materials and innovative luxury amenities (Audi was among the first to expand the role of on-board computing systems, aggressively competing with BMW for recognition in this category) places Audi in the top quartile expense category when it comes to insurance cost, as these items are not cheap to replace in the event of an accident. *The "E" stands for "evolution" and "F" for "future," indicating either the re-engineering of a previous chassis or development of a new chassis; the following two-digits are usually the displacement of the engine in cubic centimeters divided by 100 (ex: E68) or as an indicator of their performance index (ex: 116i). BMW, which stands for Bavarian Motor Works in English, was founded in 1917 and is the parent company of the Mini and Rolls-Royce models. Unlike other manufacturers, whose flagship branded vehicles are typically designed for a more "average" consumer, BMW is the only company with two makes to occupy the top quartile of our average insurance price index. BMW was the automotive wing of the Rapp Motorenwerke company, which originally manufactured both an aircraft and motor vehicle engines, but the company was ordered to cease the production of its aircraft engines by the Versailles Armistice Treaty following the conclusion of World War I. Though forbidden to produce plane components to this day, the tradition of aviation-themed inspiration heavily permeates the company in advertising and promotional materials. In fact, the BMW logo incorporates the colors of the Bavarian flag (blue and white) and the center placement of cross-shaped dividing line, which is meant to represent propeller blades. 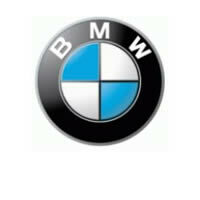 BMW produces an average of 1.2 million vehicles of varying models each year and has been called one of the most customizable luxury brands on the market (due to the numerous types of engines available for each make.) If you count each model/engine combination as a unique vehicle type, BMW has the most models on the road by a long shot. The customizability of the brand translates to an expensive replacement cost and, when combined with BMW's propensity for including cutting-edge technology in its interior configuration, makes this make one of the top 10 most expensive insurance costs in the United States. Still, figuring out how much it costs to insure a BMW model is not as hard as most think since all model/engine combinations are produced in limited quantity, thereby preventing any one model from being more expensive to insure. Price will fluctuate based on the body style of the vehicle, of course, but this luxury brand's value retention over time generally keeps its insurance premium price quite consistent. In addition to being the oldest (and arguably the most stable) American luxury brands on the market, it also has the distinction of being the least expensive car make to insure according to our insurance price index. 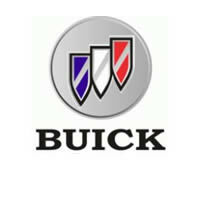 This has everything to do with the annual volume produced and overall demand for vehicles manufactured by Buick; this makes the replacement parts typically required post-collision more available and the cost more accessible to all consumers, regardless of their home country. Indeed, GM has one of the sturdiest track records for producing parts for vehicles that are make-agnostic, meaning that the parts most commonly needed for a Buick can be obtained easily in the event of an accident. This significantly reduces how much it costs to insure a Buick, making this all-American vehicle an attractive option for luxury-minded shoppers worldwide. Cadillac has long been known as a premier luxury brand and has become a force to be reckoned with in the General Motors portfolio. The car brand is named after the French explorer who founded the city of Detroit. 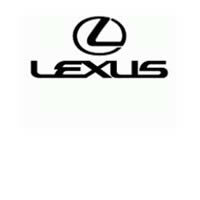 Founded in 1902 by Henry Leland, the company has played an integral role in advancing motor vehicle technology with innovations ranging from the V8 engine to elaborate electrical systems. 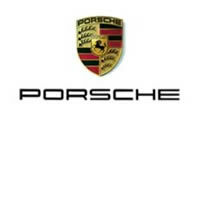 Traditionally, the brand has been synonymous with an elite, older audience. More recently, Cadillac models have appealed to a younger crowd after being featured in countless movies and music videos. These popular vehicles feature powerful engines and aggressive styling, sold in 37 countries. 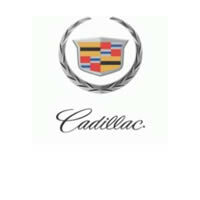 The Cadillac brand enjoyed a 35% sales increase in 2010, defying the bleak economic forecast for American automakers. Since the company's inception, the "Standard of the World" slogan has been the driving force behind Cadillac inventions and advancements. 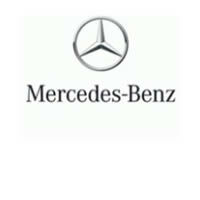 Look for the brand to continue to grow in sales and popularity as younger generations continue to embrace the iconic automaker. Chevrolet was founded in 1911 by William Durant and was purchased by General Motors seven years later. 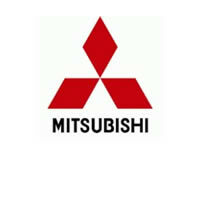 The brand is known for producing vehicles in every class at affordable pricing. Chevy recently struggled during the Great Recession of 2008, which resulted in a major restructuring and subsequent resurgence in popularity. The carmaker set a record in 2011 (the 100 year anniversary) with 4.76 million vehicles sold worldwide while operating in over 140 countries. A major marketing campaign backed by the new motto "Chevy runs deep" accompanied the increase in sales and overall popularity. The automaker remains a formidable opponent to Ford and invests heavily in racing circuits such as NASCAR. 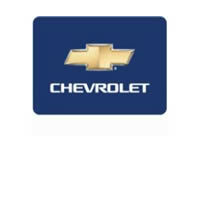 The iconic "bowtie" emblem has been used since 1913 and has become a staple for the Chevy brand. The Chevrolet small-block V-8 engine concept has been used continuously since 1955 and remains the longest running globally mass-produced engine. For those looking to drive an affordable, reliable vehicle from an iconic American automaker, Chevrolet models should definitely be taken into consideration. From the entry-level priced Sonic to the luxury Corvette, chances are there is a Chevrolet model that performs well above the competition in the class you are looking at. 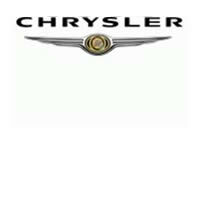 Chrysler was born out of the financially troubled Maxwell Motor Corp. in 1921. Walter Chrysler purchased the company and renamed it after himself shortly before purchasing Dodge in 1928. Chrysler also purchased the DeSoto and Plymouth brands to create a major force in automobile production. Chrysler remained popular for the next several decades until a decline in the early 1980s forced the company to reassess its place in the auto industry. 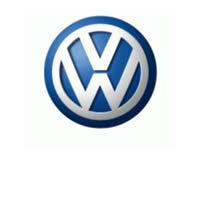 The automaker struggled again during the most recent recession in 2009, facing bankruptcy once again. Aided by government assistance, Chrysler managed to come out on top, purchasing a major stake in the Italian automaker Fiat. The brand has recently been promoting the vehicles with the "Imported from Detroit" motto and Detroit rapper Eminem featured in commercials during prominent sporting and television events. Few automakers compete with the lifetime powertrain warranty offered by Chrysler to the first registered owner or retail lessee. This is just one of the reasons Chrysler is considered one of the "big three" U.S. automakers and ranked 16th in the world by the OICA in 2009. Dodge dates back to 1900 when it was known as the Dodge Brothers Company which supplied parts and assemblies to various carmakers in Detroit. 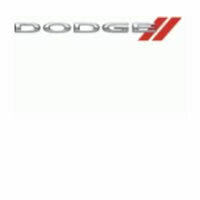 The first Dodge vehicles were introduced in 1915 and the company was sold to the Chrysler Corporation in 1928. Dodge became known for building military-spec truck and ambulances during World War II, which helped the company rise to prominence after the war ended. Dodge muscle cars such as the Charger and Challenger were extremely popular in the 1960s and 70s. Later, the Chrysler Corporation merged with Daimler-Benz AG to form DaimlerChrysler and the Dodge brand was considered the entry-level performance division of the new company. Dodge trucks grew in popularity, fueled by the Ram model that became iconic. Recently, RAM became a separate make devoted to trucks and sport utility vehicles, although Dodge still builds them. Dodge also recently reintroduced the Charger and Challenger performance cars targeting a younger audience. Ford Motor Company got its start in Detroit, Michigan when Henry Ford built his first experimental car in 1896. By 1899, Ford had quit his job to begin the Detroit Automobile Company. The company's first car was known as the Modal A, which sold for $850.00. By the end of the year, Ford had sold over 1,700 cars. Over the course of the next few years, Ford introduced the Model T which quickly became popular due to its fuel economy and speeds of up to 40 mph. Henry Ford quickly realized that using an assembly line method when making automobiles, increased efficiency and productivity. In fact, this method allowed him to sell cars at affordable prices. By 1960, Ford began manufacturing cars for the European market. Some of the most iconic cars in Ford history include the 1955 Thunderbird, the 1960 Falcon and the Mustang in 1964. Today, Ford Motor Company is one of the leading automobile manufacturers in the entire world. In 2006, Henry Ford's great-grandson William Clay Ford, Jr named Boeing executive Alan Mulally as his successor as CEO of Ford Motor Company. GMC is the second leading brand by sales of the auto manufacturer General Motors. GMC has been around in some form since the early 1900s. 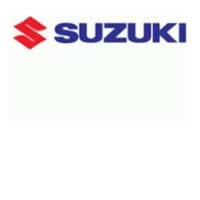 The brand came out of the purchase of Rapid Motor Vehicle Company and Reliance Motor Car Company by General Motors. 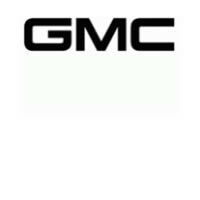 The result of the purchases was the GMC Truck brand, building some of the earliest comercial trucks. GMC's current vehicle offerings include some of the most popular SUVs, vans, and pickup trucks, as well as commercial vehicles, including military, emergency services, and transit vehicles. Most GMC models have average or better ratings in front or side impact tests, with some receiving exemplary safety ratings from insurance safety rating agencies. 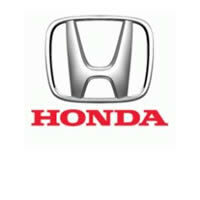 Although the Honda Motor Company's roots are in making motorcycles and motorcycle engines, the Japanese company has a long history of selling automobiles in the United States. In the early years, Honda only offered two models to consumers: Civic and Accord. Today, Honda has an 18-vehicle lineup, which includes cars, sport utility vehicles, gasoline-electric hybrids, a pickup truck and a minivan. The Honda N600 compact hatchback debuted in 1969, making it the company's first car that was available in the United States. Other small fuel efficient cars followed. In 1973, the Civic hatchback debuted in the United States. The Honda Accord hatchback, which was a bigger car, debuted in 1976. The Honda Accord sedan debuted in 1979. 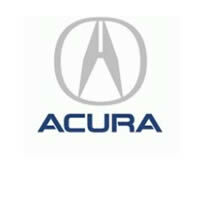 Honda introduced Acura, its luxury car division, in 1986. Spending approximately 5% of revenue on research and development, Honda cites innovation as one of the main reasons it has grown to become the second largest automobile manufacturer in Japan and the sixth largest in the world. It's befitting that the HUMMER has military roots because drivers and passengers will feel like soldiers in them. The Humvee, which was first produced by AM General for the U.S. military in 1985, is the HUMMER's ancestor. It's appeal lead to the introduction of a civilian version in 1992. 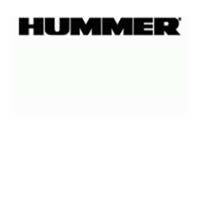 In 1999, General Motors purchased the HUMMER name and formed a partnership in which AM General produced the sport utility vehicles and GM handled marketing and distribution. The HUMMER H2 was introduced in 2003. A version with a pickup truck bed that was dubbed the H2 SUT was introduced in 2005. That same year a smaller version called the HUMMER H3 was introduced. The H3 also came in SUT version. Production stopped in 2010, but HUMMERs are still commanding the roads. 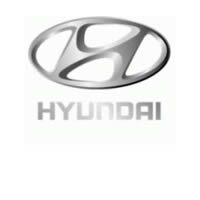 Hyundai started selling cars in 1967 in its native Korea. The company started selling cars in the U.S. in 1986, and for years Hyundais were known as inexpensive but not particularly reliable cars. In 1998, Hyundai bought its South Korean rival, Kia. In 1999, in an attempt to boost its reputation for reliability, Hyundai started offering 10-year, 100,000-mile powertrain warranties on all Hyundai and Kia models. All of its hard work paid off, as the company is now one of the world's largest auto makers and also regularly ranks high in surveys on quality. In addition to being affordable and reliable, Hyundais are also relatively inexpensive to insure. 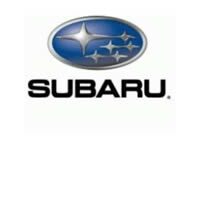 Several of the company's models annually rank among the least-expensive vehicles to insure. The Hyundai Tucson and Santa Fe SUVs both cost less than $1,200 annually to insure. 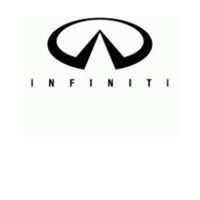 Infiniti is the luxury division of Nissan. 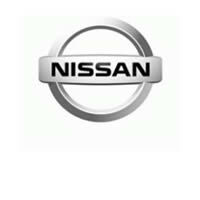 The brand was first introduced in 1989 in the United States, with the aim of appealing to customers who prefer premium vehicle models, whereas Nissan has a more “mainstream” image. Since Nissan is a Japanese company, the government of Japan imposed voluntary export restrictions on Infiniti, so that it became more profitable for Japanese makers of those cars to export the more expensive ones to the United States, rather than sell them at home. The next year, a new model was put onto the line— the two- door M30; this ceased production in 1993. Several other models followed in the succeeding years— the J30, the G20, and the QX4. During the 1990s Infiniti sales were slow, and the company seemed to be in danger of becoming extinct. The company’s finances improved, however, as the G35 was introduced in 2003, with unit sales reaching a peak in 2005 at 136,401 in the U.S. Compared to those of other car companies, the insurance rates for Infiniti are high. Premiums are highest for the M45, and slightly lower for the M35. Those for the other models, from highest to lowest, are the FX50, the FX35, the QX56, and the G35. When craftsmanship is valued along with style and creativity, many auto enthusiasts insist the name Jaguar stands out. Jaguar models feature unique precision engines, respected craftsmanship and refined style. Many believe the name Jaguar commands respect in the worldwide Automotive Manufacturing market today. The Jaguar, currently well recognized and appreciated, had a very humble beginning. In 1922, William Lyons joined William Walmsley in founding the Swallow Sidecar Co. that produced motorcycle sidecars. In 1935 they worked together with the British Standard Chassis Company to create the first Jaguar automobile. Named the Jaguar SS 100, it was introduced at the London Auto Show. 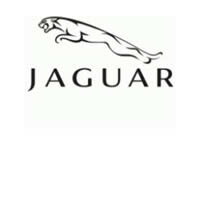 Over the years Jaguar has partnered with various other manufacturers to produce a wide variety of vehicle types. Additionally, the automaker has created cars for the Prime Minister of the United Kingdom. The first Jeep, which was called the Willys, was produced as a military vehicle in 1941. It wasn’t until 1945 that the Jeep Willys was offered as a civilian vehicle. This first Jeep was to become the standard 4-wheel drive vehicle used by the United States Army and Allies during the Second World War. 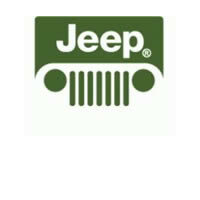 This makes the Jeep the oldest vehicle of its kind as an off-road and as a sport utility vehicle, SUV. This Jeep gave rise to several other of this type of light utility vehicles one of which was the Land Rover. The exact cost of insurance depends on several factors such as type of coverage, amount of deductible and whether or not other vehicles are also being insured through the same company. Today Jeep vehicles are produced in the Toledo South Assembly plant in Ohio. Jeep is proud of the quality craftsmanship of the vehicles they produce. 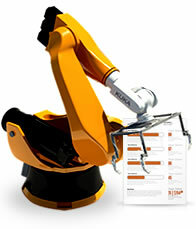 There is a great synergy between the work that is done by a machine and the work done by humans. Pride is part of the Jeep name. 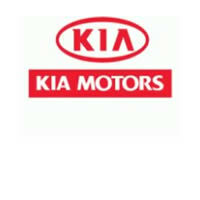 Kia Motors is the second largest car maker in South Korea with average sales of over 1.4 million vehicles year. 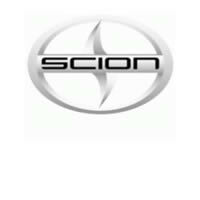 The company is the oldest car company in South Korea, established on June 9th 1944; originally a steel and bicycle parts maker. 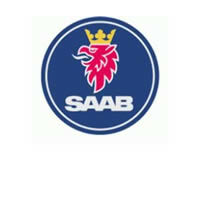 The company started making cars only after year 1974. Originally Kia entered in United States market around 1986 with a partnership with Ford, making Mazda cars. It was only until 1994 when they sold the first car under the Kia Brand. In 2010, Kia opened its largest United States factory in Georgia after recording 15 consecutive years of market share growth in the United States market. 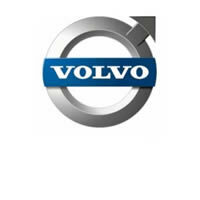 Since 2005 the company has concentrated its growth in the European market as its future growth engine. The insurance companies use many factors when establishing the cost of insurance for cars. The cost of insurance for Kia Cars is one of the lowest mainly because the replacement cost for the parts is much lower. In 2010, Kia Sedona was named the car with the lowest cost of insurance. Additionally since the theft rate for Kia vehicles is overall low, which helps keeping the insurance cost lower in comparison with its competitors. 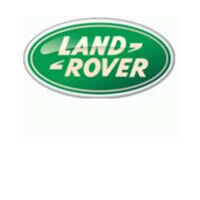 Land Rover is a car manufacturing company based in Britain. The first Land Rover design was created in 1947 by Maurice Wilks, although the company was officially established in 1978. The original Land Rover was built on the body of a stripped Jeep vehicle. The Land Rover is a popular vehicle, the design features are often compared to Jeep models. The Land Rover company has been sold to many different companies (more recently the Ford Motor Company) since its beginning and is currently owned by Tata Motors. Land Rover vehicles are vehicle designed to handle punishment in harsh off-road conditions, and features safety innovations to ensure maximum protection in a variety of terrains. Insurance companies take this information into consideration when they are underwriting policies for these vehicles. If a person does not have any harsh driving penalties on their record, the excellent safety features of the Land Rover vehicles can help drive down the costs to insure. 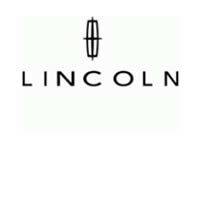 The Lincoln brand is part of The Ford Motor Co. that features high end luxury vehicles. 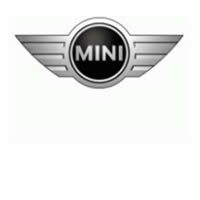 It is a car company that was founded in North America and consists of five models. The company which was named after former president Abraham Lincoln was formed in the summer of 1915 by a man named Henry M. Leland. Mr. Leland was one of the founders of Cadillac, but he quit the Cadillac car company and later the company was sold to General Motors. Lincoln Motor vehicles was its own company until 1940 when it became part of the Ford Motor Company. Lincoln has featured such classic cars as the Lincoln-Zephyr, the Continental, and the Town Car. The future of Lincoln is looking bright. In 2010 Ford announced that Lincoln would include models that will make up for the recent demise of the Mercury brand. Lincoln continues to be popular due to its high sales of The Navigator and predicts to see an even higher increase in sales through the year 2015. 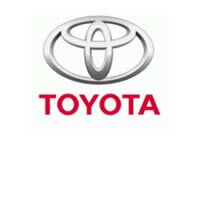 Founded in 1920, the Japanese car manufacturer began as Toyo Cork Kogyo and did not take the name of Mazda until 1984. Mazda differentiated itself from competitors in Japan by working on Wankel rotary engine and now stands as the only producer of these engines. These developments led to the exportation of the automobiles; in Canada, the cars were present by 1959 although Mazda did not officially enter the American market until 1970. 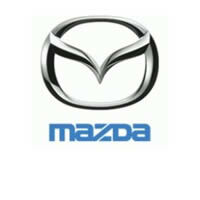 Mazda were forced into a partnership with Ford Motor Company after facing financial problems during the 1960s. 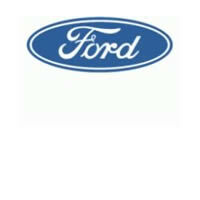 Originally, Ford were given a 7% financial stake in 1979 that in turn led to joint projects between the two companies. In the 1980s, the financial stake was further increased to 20%. Safety issues are an important consideration for insurance companies. Most Mazda vehicles rate poor or marginal on the rear crash test, however they fare much better on front and side impact crash tests with all models scoring either acceptable or good. 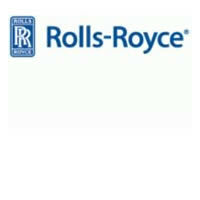 A reduction in insurance costs brought about by the low theft risk associated with the brand. Only two Mazda models appear on the Top 100 Most Commonly Stolen Vehicles List released by the National Insurance Crime Bureau. Edsel Ford, the son of the great car maker Henry Ford, started Mercury in 1938 as a division of the Ford Motor Company. Edsel wanted to sell cars to the customers who couldn't afford the more expensive Lincoln, but wanted a luxury car. He began designing a product line in 1935 which was eventually adopted as the Mercury in 1938. The first Mercury to make its debut was the Mercurcy8 which had a 94 horsepower V8 engine. In 1945, the Mercury was combined with the Lincoln to make a separate division of the Ford company. Henry Ford hoped that the Mercury would be thought of as a cheaper form of the Lincoln rather than a more expensive Ford. Mercury attempted to produce a different car than either the Lincoln or the Ford by expanding the wheel base and making the car longer. Many makes and models were created and served the car community. 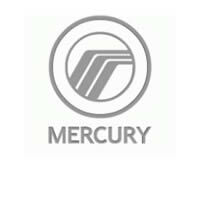 After almost seventy five years in business, the Ford motor company disbanded the Mercury line in 2011. It stopped production of the Mercury car in 2010 due to declining sales. Despite the decline in purchases, the cost of owning a used Mercury vehicle is consistently cheaper than other makes and models of its size.